From the fact-fuelled to the scatological, the reasons to bet on greyhounds at William Hill are as diverse as the noble beasts themselves. Our greyhound tips aim to talk you through some of the most productive ways to inform your picks when you’re betting on the dogs. We’ve all heard the greyhound tips about keeping a close eye on the pre-race toilet habits of the competing canines, so the focus here will be on less-often discussed methods of sourcing winning greyhound bets. From trap-rise ‘til the greyhound results are in, dog racing provides thrills in abundance and we’ve got all the betting tips you need whether you’re down at your local track watching live, fast greyhounds, punting from your couch or enjoying the good-fellowship of fellow bettors at your local shop. Our first piece of advice is to head over to the Greyhound betting page at William Hill, where not just greyhound betting odds, but a trove of helpful tips and pointers await the prospective punter, as well as today’s greyhound results. 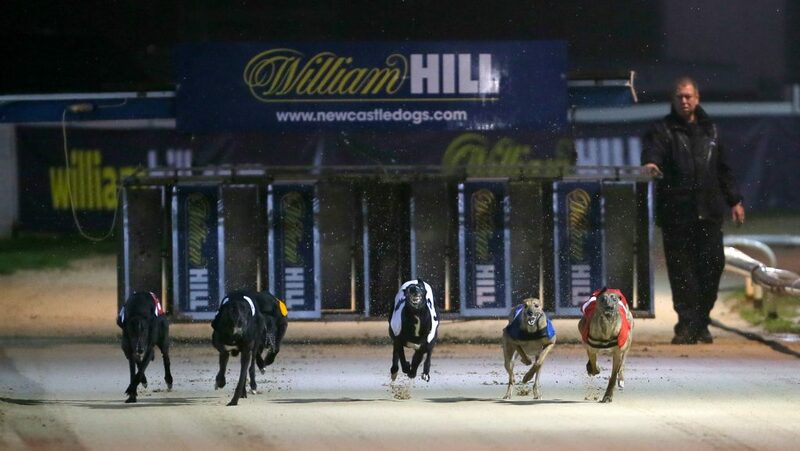 William Hill’s greyhound tips will help you place the perfect bet on all the big races. The Racing Post is the dog betting aficionados’ bible and you can access a wide range of greyhound tips and information to help you bet on today’s greyhound results, and races across the UK and Ireland, from Shawfield to Sheffield, Yarmouth to Youghal. Check out the ‘Dogs: Running Form, powered by Racing Post’ tab at the top of the greyhounds page on William Hill. For those of you who simply want informed Greyhound betting tips, there’s the Racing Post’s greyhounds 1-2-3 prediction for each and every race. Back their pick for the winner, or go more elaborate in search of bigger wins with a straight forecast, reverse forecast, straight tricast or combination tricast. A straight forecast or tricast are types of greyhounds odds where you pick the first two or three past the post in the order in which they cross the line. Let it not be forgotten however, that these are tougher tips to land than simply picking the winner based on greyhound results. Slightly easier, but requiring multiple bets, rather than one, are reverse forecasts (two bets) and combination tricasts (six bets). The former allows you to choose the first two finishers in any order, while the latter is a dart at predicting the first three traps to pass the judge, in any sequence. If you’re keen to get deeper into the form, rather than follow the Racing Post’s greyhounds experts, with the unquestioning devotion more commonly associated with the beasts you’re going to be betting on, look into the greyhounds form to unearth your own greyhound tips. Among the tools for picking your own greyhound predictions, there’s the virtual predictor, runner form, and pointers to study to place the right odds. Analysis of runner form should always pay particular attention to the times posted by dogs over similar distances, as well their final placings in the races in question. The ‘Pos’ column can also be enlightening, recording which position each runner held at each bend of the contest in question and providing an insight into whether your greyhound tip pings the lids and gets on the bunny early, or stays on late to take the laurels. Pointers is another tab which provides all manner of information for hatching your fast greyhound predictions, from a runner’s record at the track to how they fare in each of the six traps at the course they’re running at and the record of the stalls themselves. Never to be underestimated when weighing up your greyhound predictions is the information on today’s greyhound results page (aka on the day you’re betting). Together with data on which traps are ‘hot’ at a particular track, they can give you priceless insight on where it’s advantageous for a runner to be drawn and should make narrowing down the field to pick the winner (or even a winning tricast!) that bit more likely.